It’s time to start my SharePoint Exam 70-339 preparation! Yes, finally… I have passed several exams for SharePoint 2013. From administration and developer path. 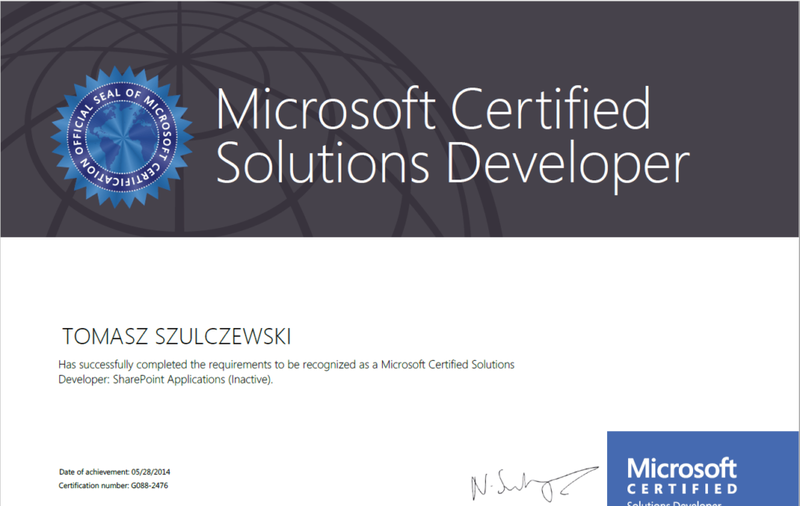 Especially I am very proud of my MCSD certificate, but I don’t posses any SharePoint 2016 certification. So I decided that time has come. I take a look on existing exams for SharePoint, but at this moment there’s only one exam… Managing Microsoft SharePoint Server 2016. It’s strange to me. And there’s no any developer exam for example. If you want read more you can check this official Microsoft site. Bellow you can find some useful information about my SharePoint Exam 70-339 preparation. I don’t know if it will works for you, but for me it’s ok. First of all we need a lab. I think that we agree that we can’t make a tests on live environment, and not all features of SharePoint 2016 you use on your production environment. If you are not sure how to do this there’s very good book to start: Building a SharePoint 2016 Home Lab. You can buy it for example on Amazon. Anyway if your farm is ready it’s time to start learning :). At this moment there official Microsoft book which can be used to study. Exam Ref 70-339 Managing Microsoft SharePoint Server 2016. From my point of view those two books are core elements in my preparation. If someone prefer video over book reading there’s another options. I passed this exam. I am certified on SP2007, 2010and 2013. This was the hardest exam yet.